What is PPP (Preparation Provider Programme)? PPP is a programme which will provide teachers and educational institutions with the knowledge and tools needed to run a successful OET preparation course. PPP recognises that delivering an OET preparation course is unlike other courses providers might deliver such as IELTS or General English due to the specialist language area. At the same time OET is highly regarded as a quality product by both its stakeholders and the candidates who elect to take the test as their first step to a medical career in the countries where OET is recognised. All educational institutions currently preparing students for the OET or interested in starting to do so are recommended to register for PPP to become a Preliminary Provider. Eligible Preliminary Providers can complete further training which will lead to endorsement as a Premium Provider. PPP has been created by a team of OET experts which includes experienced teachers and assessors as well as many of the OET corporate team. The sample materials which are included have all been piloted with genuine OET candidates and their feedback and evaluation have been taken into account to produce the final materials you will access. PPP is available via Moodle for providers to access in a way which will suit each individual institution. It is likely that several people will be involved in the completion of PPP but that not every individual will complete all sections depending on their responsibilities for the course. [see section below ‘Completion of Moodle Lessons’] It is part of OET’s commitment to excellence that all personnel involved with the stages of the test-preparation process are properly informed including in the advice candidates receive while considering enrolment to a preparation course. Each member of staff will receive an individual login. Who will be involved with PPP from my institution? There may be overlap or duplication of roles depending on the individual structure of each institution. OET teachers – any teachers, including those used for holiday or sickness cover, who deliver part of the OET course. These teachers need to complete PPP Lessons 1-3 and may support the OET Course Manager to create materials for submission as part of PPP Lessons 4-5. Enrolment coordinators – this is the person who will make the decision about an enrolee’s eligibility for entry into an OET preparation course. This is likely to require checking the validity of recognised external test scores or setting and grading a placement test as well as a discussion of the enrolee’s previous OET test experience and planned date to sit the test. This person will need to have a good understanding of the OET requirements and the suitability of the course for the student based on the information gathered during the pre-enrolment process. As a minimum, this person should complete PPP Lessons 1-2. Academic Manager or Director of Studies – this is the person who has overall responsibility for all adult ELICOS programmes provided by the institution of which OET is likely to be one course. This person may have little input to the OET course or with the students but will be an important source of support for the OET teachers and main course tutor. As a minimum, this person should complete PPP Lessons 1-2. Marketers – these people are an extremely valuable first contact for potential enrolees and for attracting new enrolees to the course. They need to have a good understanding of the OET requirements and should complete PPP Lesson 1. What exactly is required to complete the PPP course? Lesson 1 – watching 1 video and complete 1 quiz with 100% accuracy from 5 attempts on PPP Fundamentals. Upload a valid TESOL qualification. NB access to the rest of the course will not be granted without proof of a valid TESOL qualification. Lesson 2 – watching 3 videos on aspects of OET Fundamentals and completing 3 quizzes with 100% accuracy from 5 attempts. Lesson 3 – watching 9 videos focusing on teaching best practice for each part of the test and completing 9 quizzes with 100% accuracy from 5 attempts. Completing a collaborative assignment to demonstrate how you would use official practice test tasks to structure a lesson, which also includes some language learning. Lesson 4 – completing an official practice test to put yourself into the shows of a candidate and answering a series of analytic and reflective questions which will receive feedback from a member of the OET Education Team. Watching 5 videos on creating your own lesson materials and completing 5 quizzes with 100% accuracy from 5 attempts. Lesson 5 – submission of a lesson plan for each part of the test including classroom resources used in earlier stages of the lesson. In addition for Writing and Speaking, the submission of a practice test task developed by the provider. Successful assessment by the OET Preparation Content team from multiple re-submissions. How long will it take to complete PPP? Lesson 5 – the time it takes to create lesson materials will depend on your familiarity with creating other lesson materials and your familiarity with OET. What additional documentation will be required? Describe the criteria used for deciding eligibility for placement of a prospective student into an OET course. When do I submit the documentation? The documentation will be submitted after your Lesson 3 answers have been approved. Once we are happy with your answers, we will ask you to upload your documentation. You don’t need to upload any documents until we ask you to. You can use the curriculum template in the documentation folder in Lesson 3 and the supporting notes we have written for the documentation you need to submit to help you. We encourage you to refer to this information if this kind of process is new to you or to make sure you are meeting the requirements we have set. We will ask you to resubmit these documents at the end of Lesson 5 to reflect your expanded curriculum and any changes to teaching staff and/ or entry requirements to the course. What teacher qualifications do I need? * For the purposes of the above requirements, a degree or equivalent is at least three years full-time (or its part-time equivalent) in length. *** A degree in education or teaching with TESOL method includes a Bachelor of Education with TESOL method. Should I do Preliminary or Premium? For providers who are new to OET or are not currently in a position to create their own materials, Preliminary will be a valuable option in helping them get an OET course underway in their learning environment. The stages of the Preliminary training will provide an excellent grounding in everything providers will need to set up a successful course and support students to pass OET. For providers who have been offering OET courses for some time or who have offered other types of medical English courses and are confident about creating materials which will simulate test tasks, Premium is a good fit. What are the benefits of completing Preliminary? By the end of the Lessons 1-3, Preliminary Providers will have the knowledge and skills needed to deliver an engaging, dynamic OET Preparation Course which focuses on learning outcomes and the improvement of language skills rather than simple test rehearsal and coaching. Our experience suggests this will make your course more attractive to students which will lead to increased candidature. Preliminary training will show schools how to create the kind of classroom environment that students will value. On completion of Preliminary and the approval of the documentation, providers will be able to describe themselves in marketing material as having completed the Preliminary training. They will also be listed on the OET Preparation Provider webpage. Why is there a course length and level limit for Preliminary Providers? Providers who have only completed Preliminary are likely to be using the official materials available. They may have some supplementary materials they can use but they do not have the material resources to teach a much longer course and OET cannot be confident that the quality of these supplementary materials will be high enough. Longer courses not only require more preparation materials, they also need to contain more lesson content and teacher skills which focus on language skill improvement. Such lessons require more detailed training to be delivered successfully. By limiting the length of the course to 120 hours, it also necessitates limiting the current level of the students to a 6.5 overall with no skill lower than 6.0 to give them a realistic chance of passing OET by the end of the course. Students entering into a course with IELTS scores of 6.0 or lower most likely need more than just practice materials to reach the required levels to pass OET. How can OET provide support to help me complete PPP? The OET Education team will respond to any email queries received from providers during the PPP process. Where appropriate, the team may also arrange to speak to providers over the phone and/or visit the provider to give more tailored support. How will OET support me if my Lesson 3 and 5 submissions are not initially acceptable? Detailed feedback from OET experts will be provided to explain what improvements are necessary to make your answers to Lesson 3 or your lesson materials for Lesson 5 an acceptable standard. OET will not make the required changes for you or tell you exactly what you need to change as reflecting on problems and rectifying them is an import part of the assessment process. If you have questions about the feedback you receive, you can email the Education team to seek clarification before you resubmit your lesson materials. Until the OET experts are satisfied that your answers or materials meet the required standard they will continue to be returned for improvement as it’s critical to the validity of PPP that they are high quality. How do I become a Premium Provider? By completing Preliminary, providers will increase their understanding of OET requirements and the quality of their provision which will then be rewarded through their application for Premium Provider status. Apply for Premium Provider status via the OET Education Team and pay the $500 (non-refundable) application fee. The cost associated with the application for Premium Provider status is in reflection of the assessment and feedback which will be provided by our team of OET experts about the lesson materials submitted by your institution as well as the entitlement to constant support from these experts once the course has been successfully completed. The process is designed to be supportive; there is no limit to the number of times that lesson materials can be resubmitted if they are found to be ‘not yet competent’. Once you have registered there is also no time limit to submit your lesson materials and your Moodle login will remain active indefinitely. 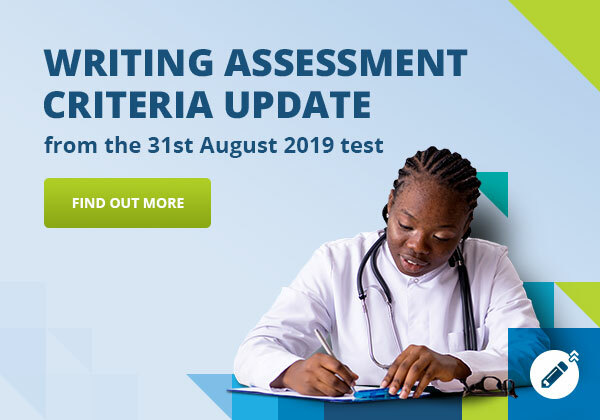 The feedback you receive from the OET experts will guide you to improve your lesson material submissions to a test-ready standard; however, materials will need resubmitting until the OET experts are satisfied that this standard has been achieved. It should be understood that payment of the application fee does not entitle successful award of the Premium Provider status nor will a refund of the application fee be made if an institution decides to abandon their application. We encourage you to contact us at any stage of your application to provide you with support to progress with your application. What are the benefits of becoming a Premium Provider? Use of the Premium Provider logo on your website. Support with course content from our team of OET experts. A Teacher Shared Library [opt-in required], containing the lesson materials created by other institutions for their submissions. For access to this library, you will need to agree to have the lessons you submitted added to the Teacher Shared Library. Other providers who have similarly agreed to share their lessons will then be able to view and use your materials as well. Why do I need to demonstrate an ability to create lesson materials to become a Premium Provider? We believe that a provider should be able to produce their own high quality lesson materials because such an ability reflects a deeper understanding of the OET exam. It also evidences understanding of the PPP course content. Why do I have to sign a user agreement? Premium Provider status includes a lot of benefits to your institution including marketing of your OET course, use of the Premium Provider logo and targeted marketing to enrolled OET candidates. As a result, Premium Provider status also comes with some responsibilities about how you use these benefits to maintain the integrity of the PPP. What sort of access will premium providers be granted to OET candidates? • Emails recommending our Premium Providers will be sent out to candidates as part of our nurture campaign following their registration for the test. This email will also contain a link to our page of premium providers. • Links to the Premium Providers page being prominent on our website. • Frequent mentioning of our Premium Providers on our social media page. Can I submit materials my organisation uses in our current course? If you are a currently delivering OET courses, the materials you use in your classes may be suitable for some stages in your Lesson 5 submission. The OET experts will be assessing your submission based on the criteria included in PPP so you will need to ensure your materials meet these. Can I pay to access the Teacher Shared Library without submitting my own materials? The Teacher Shared Library is designed to be a collaborative experience and for this reason, requests to view but not share or pay to view will not be accepted. How will PPP help me with modernised OET in late 2018?